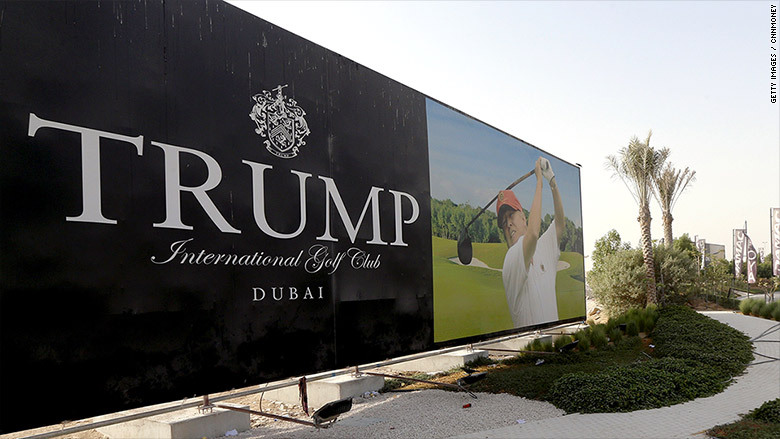 Presidential candidate Donald Trump may want to ban Muslims entering the U.S. but he's making millions from business deals in countries where Islam is the main religion. In his latest personal financial disclosure required by all candidates, and on his web site, Trump lists various interests in the United Arab Emirates, Azerbaijan and Turkey, and two new ventures in Indonesia. 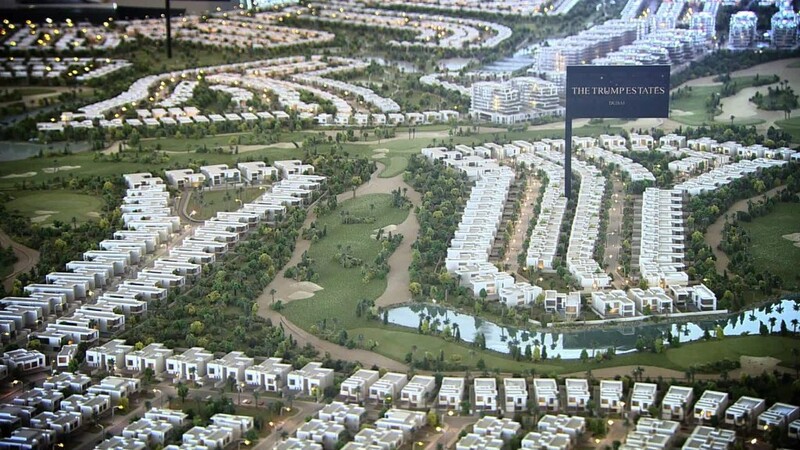 The Trump Organization has plans for two golf resorts in the Arab emirate of Dubai. In the filing, Trump lists what is described as a "management deal with DAMAC Crescent Properties" and states the underlying asset "value is not readily ascertainable." He lists no income. Neither resort has opened, although one is due to be completed this year. DAMAC said Tuesday it would not comment on Trump's personal or political agenda. 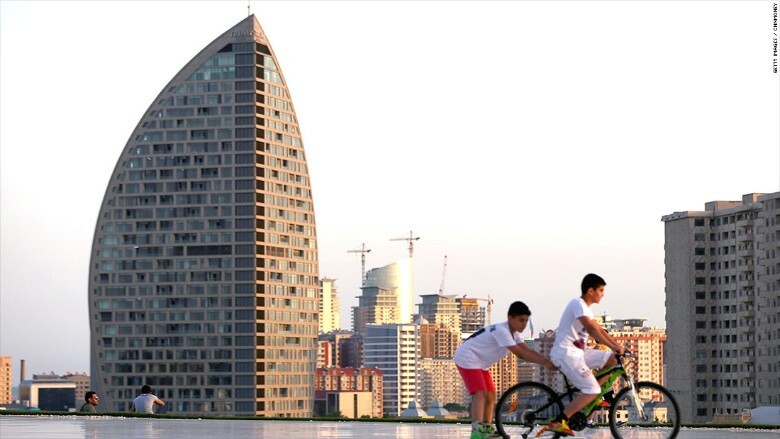 In November 2014, Trump announced a partnership to open a luxury hotel in Baku, Azerbaijan on the Caspian Sea. In the filing, Trump lists income of $2.5 million for "management fees" for the Trump International Hotel & Tower Baku. Trump Towers, Sisli is a 40-story residential tower in Istanbul, Turkey. On his web site, Trump makes it clear he does not own the development, but the owners have licensed his name. In his filing, Trump lists royalty income of $1 million to $5 million. It's standard in the hotel business for brands to license their names for use by local owners. Just a few months ago, Trump announced plans for an ultra-luxury resort in Bali and a golf course in West Java, Indonesia -- his first in Asia. These deals came too late to be included in his annual candidate filing.